Are re-branded ‘Mk II’ models just an elaborate marketing exercise? Occasionally, yes. But a number of well-respected cruising boat builders are adopting the practice. The point to consider with these evergreen bluewater cruisers is that there is little to be improved upon in terms of hull design that justifies the cost of building a new mould. It is more a case of breathing upon an established product to make it more practical at sea. Can tampering actually spoil a well-established product? That was my biggest fear when invited to test X-Yachts’ new Xc45 Next Generation model. The Xc45 was my ideal cruising yacht in 2007. And in truth, very little has changed with this Next Generation model. So it could be argued that the new branding is more a means of bringing the Xcs back into the public eye. Thankfully the Xc45 Next Generation version remains a very user-friendly, inviting boat to sail, neither daunting in size nor heavy enough to exert worrying loads on the deck gear. 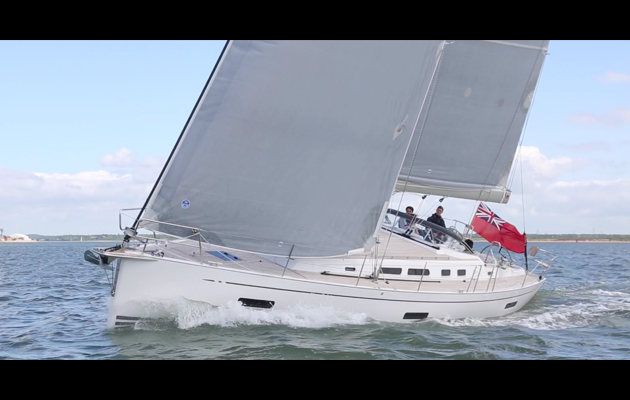 And, for a displacement cruiser, the she really is a remarkably pleasant yacht to helm. This freshened-up version serves to remind us that the Xc45 remains a very current, enjoyable design, and one with staying power.